Why we are helping and how YOU can get involved! The remote villages of Laos have never recovered from the ‘Secret’ war of the 1960′s and early 70’s. While rich in culture and tradition, their education, healthcare and hygiene conditions are severely lacking. The average lifespan is only 58 years and average age is only in the mid to late 20’s, caused by poor quality water, poor hygiene and general poverty. 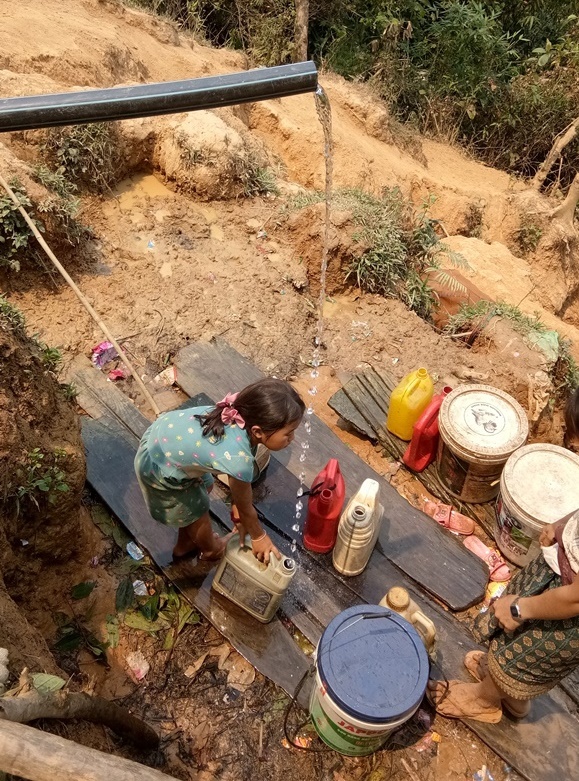 BUT with your help, a positive difference has been made in the lives of thousands of villagers.We have completed over a dozen school projects, 12 water projects bringing water to several villages and a hospital (imagine a hospital with no water!) and have completed well over 20 toilet banks for schools and villages. We have also provided 3,900 water filter systems (about 20,000 people! ), along with critical hygiene training for families, schools and hospitals to promote longer, healthier and happier lives. That’s not all! We are also sponsoring a lot of primary and secondary school kids, 1 university student and 2 interns, plus have installed numerous solar panels to bring light to the poorest of villages. More bicycles were distributed to get even more kids to and from school and there were a number of smaller projects completed too. You can help in so many different ways. Before you do though, note that only 15% will go to operating expenses, contrary to many NGO’s who’s overheads can reach 80%. This 15% covers a portion of our local Lao coordinators salary, directors insurance, office supplies, base accommodation and the like. Sponsors and donors for every project will receive emailed pictures and details of how the money was spent. Here are some examples of how you can help with your financial contribution. If you want to come to visit us in Laos, just email us and you can see for yourself, where your money is being spent. – $125 CDN ($100US) buys a water filter system for a family of up to 8. It will also include your name on the water filter and a picture forwarded to you with the family and the filter unit. – $30,000 CDN (approx) buys a 2 or 3 room school (depending on location) for grades 1-5 (rural areas). – $100CDN ($80US) buys a school table and bench (for up to 4 students). – $315 CDN ($255 US) buys education for one primary school child for one year including school fees, uniforms, shoes, backpack and school supplies. Note that this cost is approximate. – $450 – $600 ($3-400 US) buys education and basic living costs for a secondary student who needs to relocate to a village with a school and includes dormitory fees or a bicycle plus school fees, uniforms, school supplies, and backpack. – $5,000 CDN ($3,700 US) supports a university/college student for a year. Smaller amounts towards the total needed, are welcome of course. – hygienic washroom facilities rane depending on the number of stalls and start at about $4,300 CDN (depending on how rural the village is), but are critical to prevent more disease. Prices are subject to the fluctuation in the value of our Canadian Dollar. 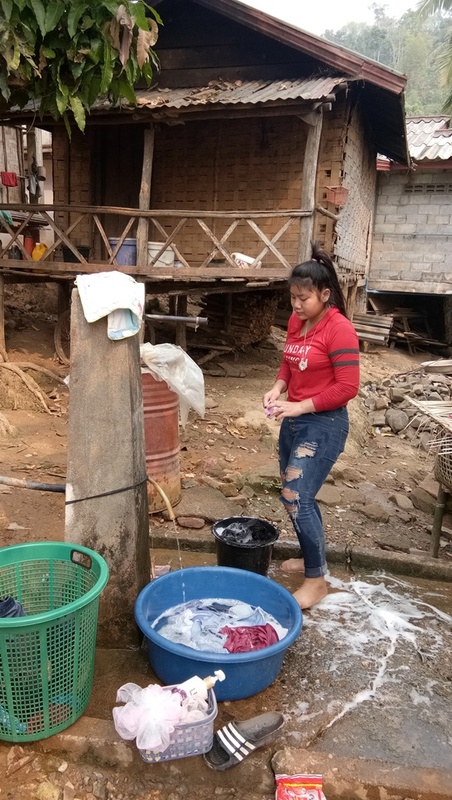 If you would like to become involved and to help the people of rural Laos help themselves lead a more fulfilling life, please email us at AdoptaVillageinLaos@gmail.com. Official Tax Receipts will be issued to Canadian tax payers. (MasterCard and Visa, cash, cheque are accepted). Please help…………we cannot do this alone….Meanwhile, please enjoy our updates, below. There was a lot to accomplish during this last trip of the season to some of the more rural villages. 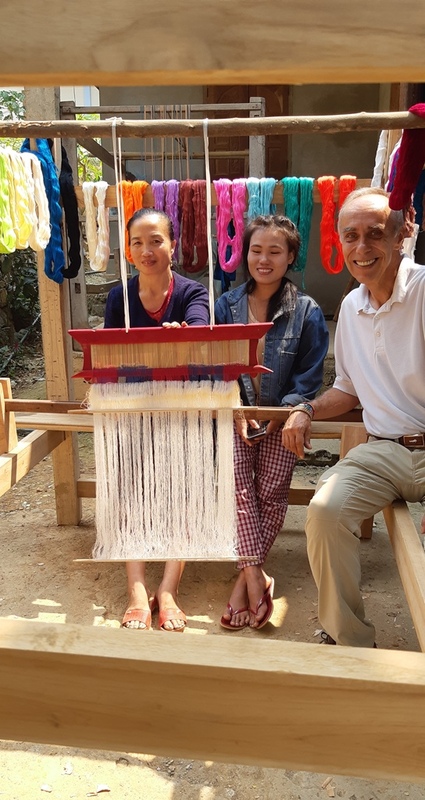 First, we had a challenge when the teacher who was supposed to teach the art of weaving to a student from Ban Phone (in the distant highlands). 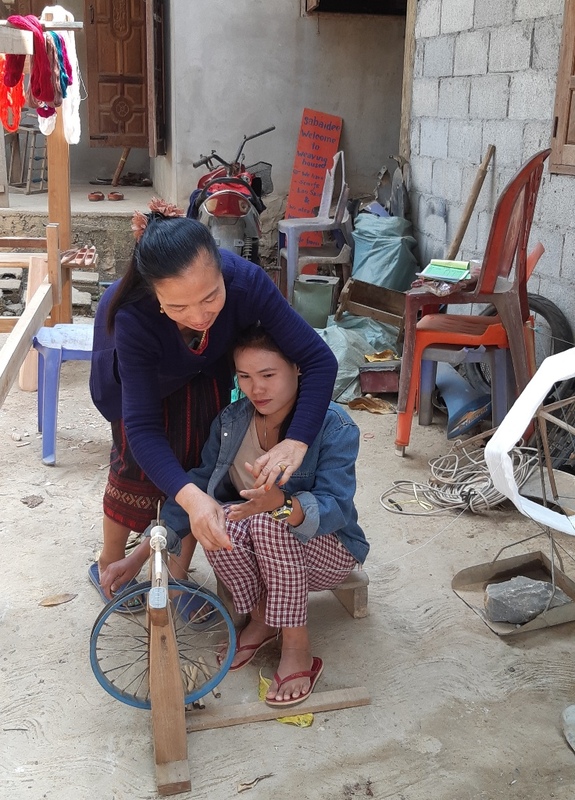 She moved out of the area but another teacher was found eventually and the student lined up to come to Nong Khiaw for training for 2 months. Teacher and student outside the teachers home. It took about an hour to put the loom together – pieces didn’t exactly fit so had to be recut and shaved by hand. Colourful threads adorn the frame for the picture. Lesson 1: Thread is unravelled unto smaller spindles. As one can see, there are more parts to this than just the loom and thread. We will endeavor to make the additional equipment before the student heads home. 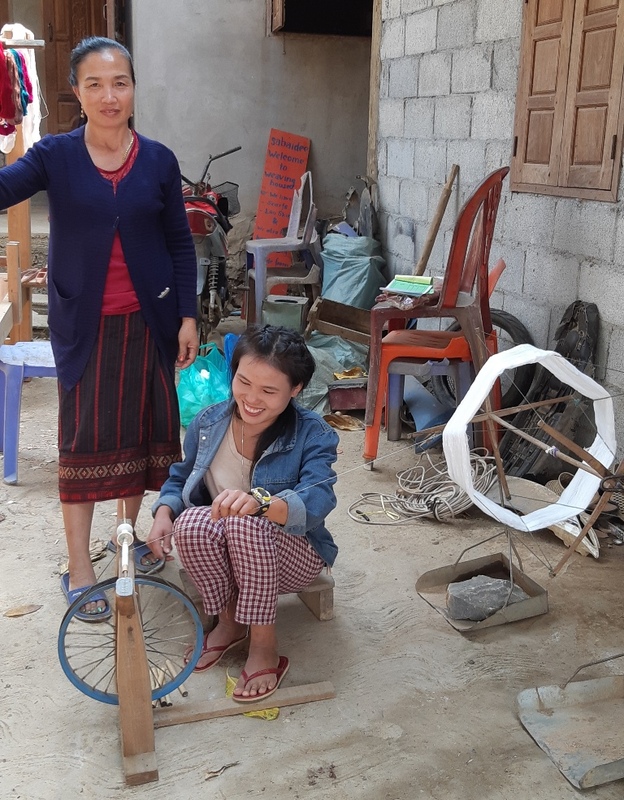 The intent is for the student to take back to her village, the lessons learned in order to teach others and offer products to sell to the public. This will increase the general wealth of this poor village. 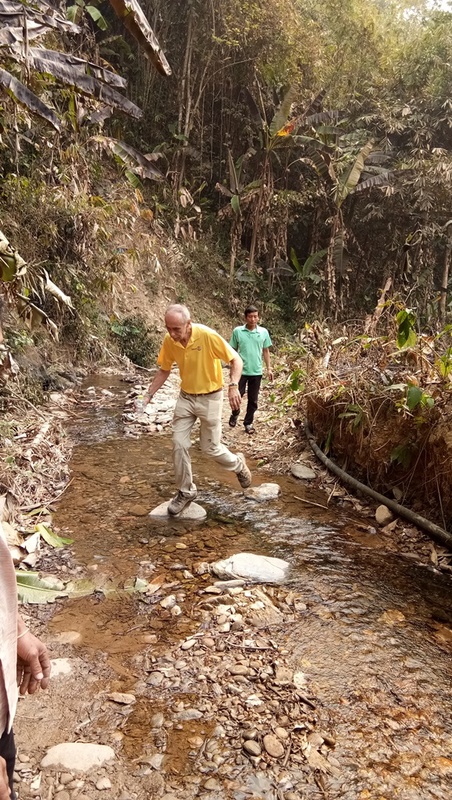 In an effort to prepare for the next season, it was time to find the way to several villages on our list who have requested our help for a permanent water supply, either through repair of current systems whereby the dam had been destroyed, or to a village that has never had a permanent water supply. 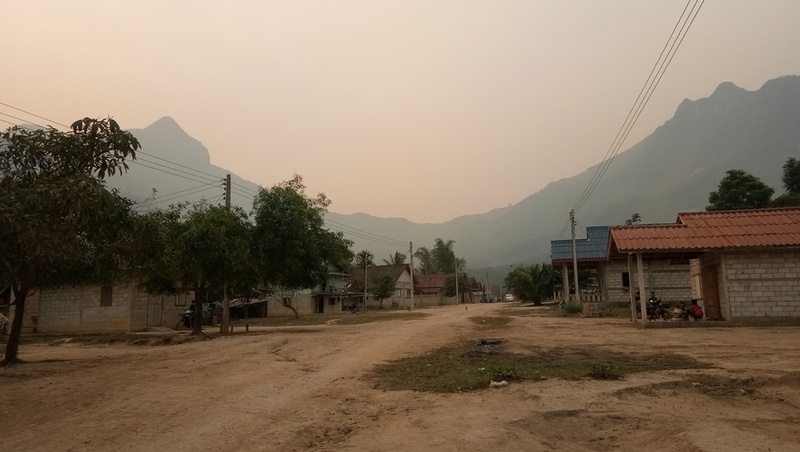 Beautiful view from the village of Sandluangnoi, albeit smokey from the multiple fields burning at this time of year. Many villagers have respiratory issues during March and April. Typical homestead with thatched roof. At least the village has electricity, although many of the residents can’t afford to run it to their house. 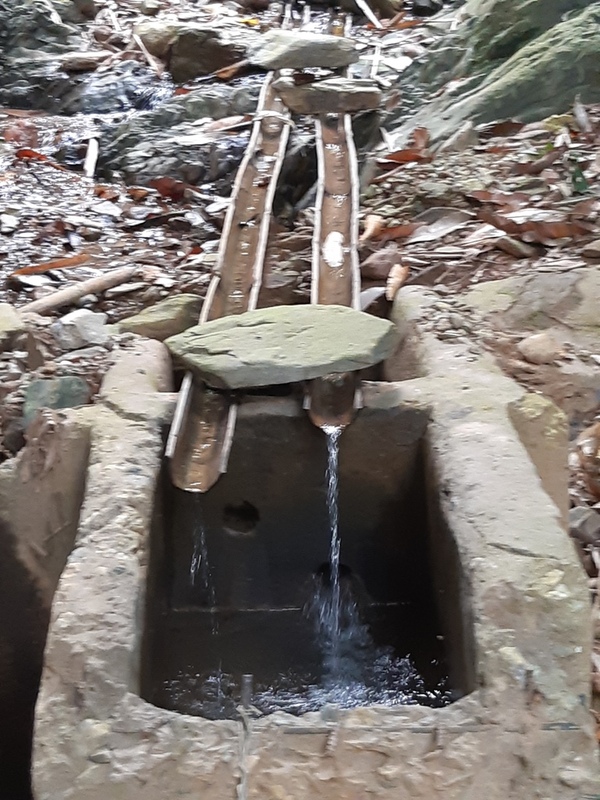 This is the only source for village water (just outside the village and down a hill). Using a makeshift trough, they are able to get a little water. 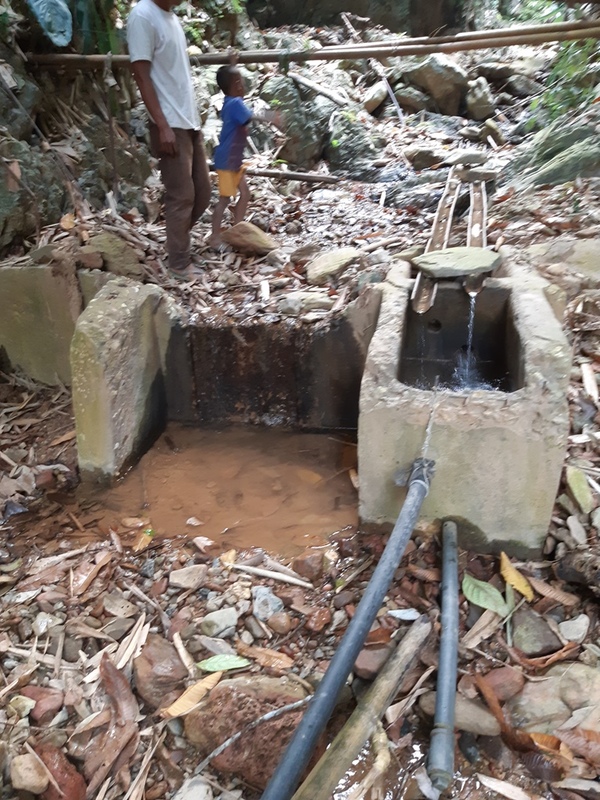 This source will dry up completely in the next couple of weeks, at the height of the dry season. These are two of the villagers that plead with us to provide a permanent source of water for the village. The cost is estimated at $38,500 CDN to provide dam, water tank, taps and lots of pipe. 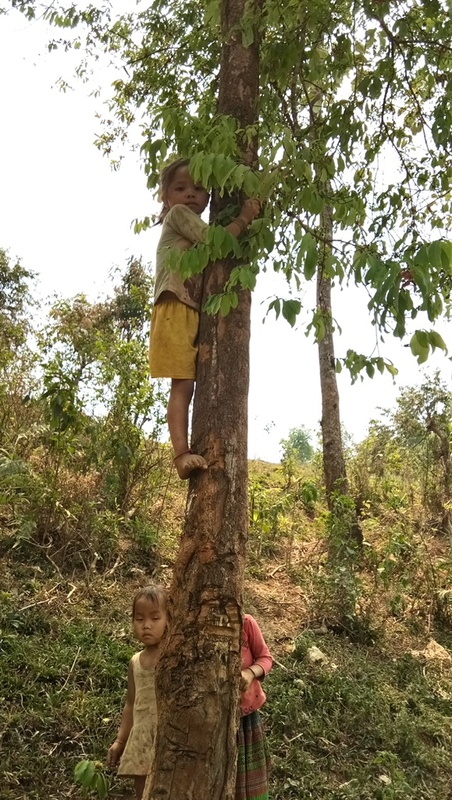 Typical kids having fun, climbing trees. Next Village was Pha Yong. Pha Yong was the first village we assisted 10 years ago with a Kindergarten and 22 banks of toilets for the large village. You will note lots of damage to the dam caused by rock slides during the rainy season. They are currently using temporary bamboo piping to augment the water going into the compartment. The concrete lid has been destroyed…likely downriver somewhere. A better view. This dam is a 3km trek through the forest and along the stream. The dam will be relocated a short distance upstream and some additional pipe added for a little over $2,000. The alternative would be to use a larger river source, but the price would have been about $12 – $14,000. It is at the end of our season and our funds are very limited so they settled on the first option. This project will be started shortly. I sure miss this beautiful village. We were looking for the pictures of Thong Lom but to my dismay, they were accidentally deleted. Fortunately the village is on a fairly main road so next time our coordinator heads up that way, more will be taken. Suffice it to say, that the taps were bone dry…not a drop. The estimated cost of that project is just over $30,000 to bring permanent water to that village. Fortunately our coordinator will be heading back up in less than a week. The villagers claimed the trek to the dam in KaChait was 10 minutes. It turned out to be 4km each way and not exactly a walk in the park. Perhaps not the best picture but the dam wasn’t full, despite their efforts to clean everything out. They cleaned a screen at the entrance to the dam but didn’t seem to help much. We visited several other villages to review requests for smaller repair projects, along with a 4th large water project – the village of Kew Ha. It is doubtful that our fundraising efforts will be enough to do this village with a cost of $32,000 but we will see. We are hopeful that we will be able to do a couple of the smaller projects. Time will tell. For those of you who follow our blog, we look forward to catching up with you, either by presentation to your club or organization, or in person in the upcoming months.